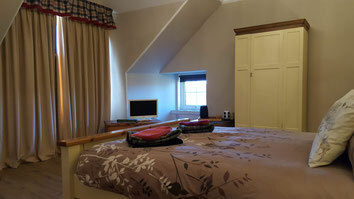 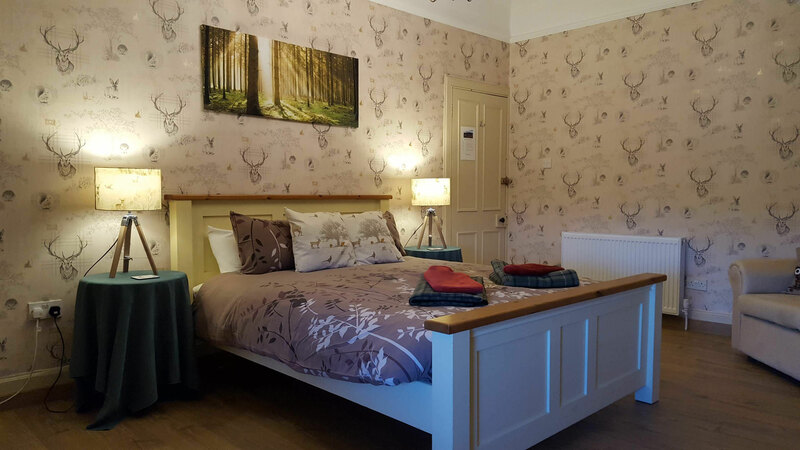 This is a Double Room with Mountain View and En-suite Shower. 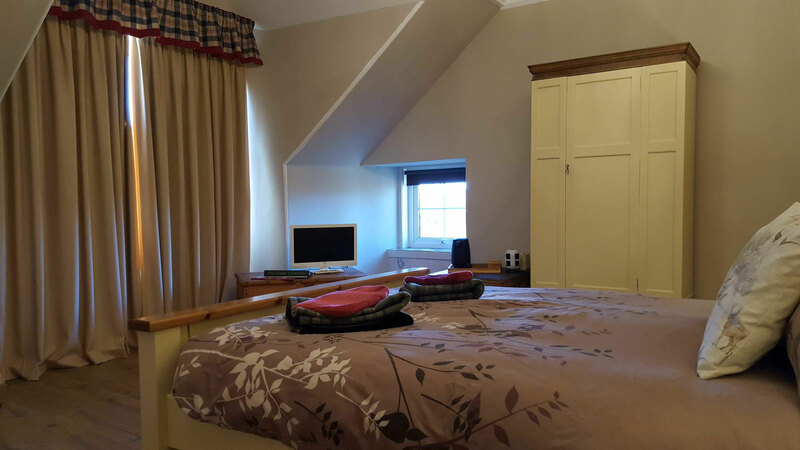 This spacious bedroom is on the first floor and overlooks the front of the house. From the window, you may see roe and red deer grazing peacefully, particularly in the early mornings and late evenings, on the green, grassy slopes outside.